This requirement is one that we all embrace. Eight days of silence and prayer! Perhaps the extroverts get itchy by the end of it, but we introverts just revel in it. My congregation prefers us to make the retreat with other community members, so it has a theme and focus related to our charism. I’ve been doing this for , I’d say, 34 out of the 35 retreats I’ve made. Many years it was in Princeton, New Jersey, at the Vincentians’ retreat place, but that closed, regretfully. I loved it there. The retreat planners set up retreats around the calendar and at retreat places around our large province. Last year, I was in Louisiana; the year before, Syracuse NY. This year I was set to go to our campus in Evansville Indiana. It’s a wonderful place to make retreat, and for me, a birder’s paradise. But I got sick on June 28 and was sick for almost three weeks, and then, recovering. So I cancelled the trip to Evansville and made a private retreat right here at home. Very delightful and peaceful. I gardened every morning. The weather went from hot and humid to cool and dry – amazing for July in Emmitsburg. I finally got the upper hand over the weeds and used the entire mountain of mulch, so the garden looks the best it has in about four years. Maybe longer! 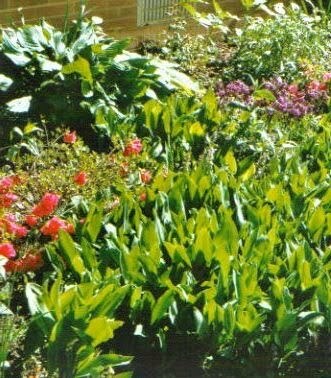 Lamb's Ears, Lilies of the Valley, Daylilies, Hosta, Sunflower, etc. 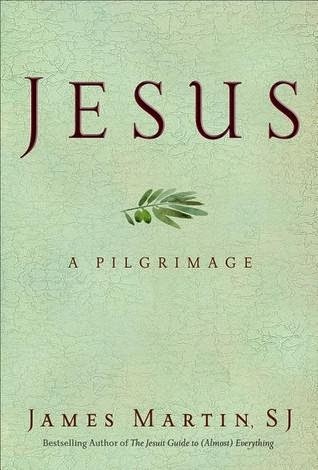 I read James Martin’s book Jesus – a Pilgrimage. It’s a combination of Scripture, History, Geography, Martin’s narrative of what he saw and felt on a pilgrimage to Israel. I prayed, went to a late Mass every day, and slept every afternoon. 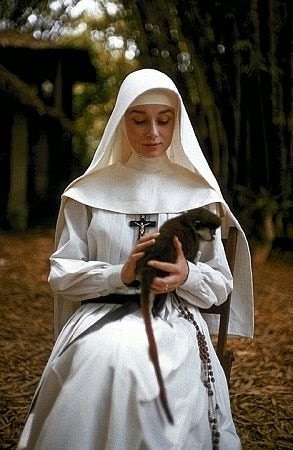 Crazy as it is, it reminded me of the part in The Nun’s Story when Sister Luke has TB in the Congo, and lives in a tree house for months as she takes the TB treatments. All I needed was Peter Finch and a monkey. 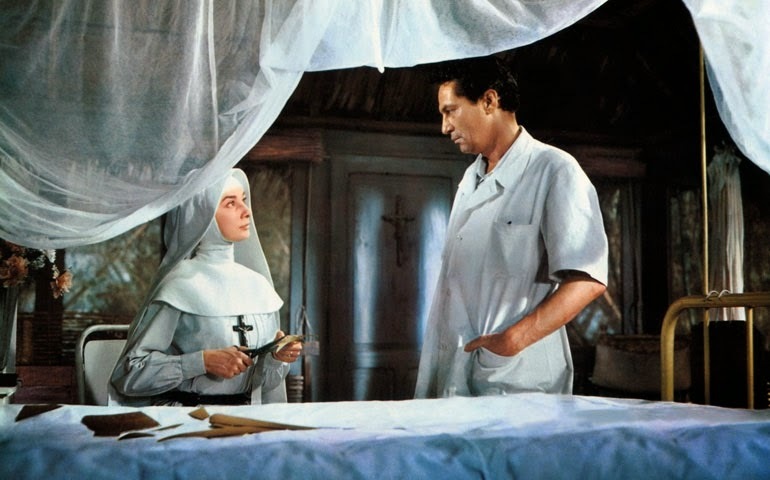 "The Nun's Story" 1959 film with Audrey Hepburn and Peter Finch. Taken from the novel by Katherine Hulme. One of my favorite novels and films from my childhood. I fasted from Facebook, but checked my email. I communed with the birds who visited my windowsill feeders. The hummingbirds emptied the little feeder twice a day. 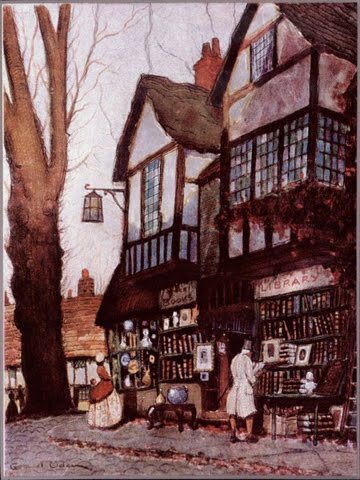 The eight days went along at a wonderful pace. Now I’m back, trying to write some poetry. I've also just had my own storm: since June 28, I've had severe gastroenteritis - I am skipping the gory details, but I ended up in the hospital for three days with it, and with dehydration. Now I am still taking the antibiotics and the anti-vomiting medication, but I am much much better. Able to think clearly and walk steadily again, thank God! 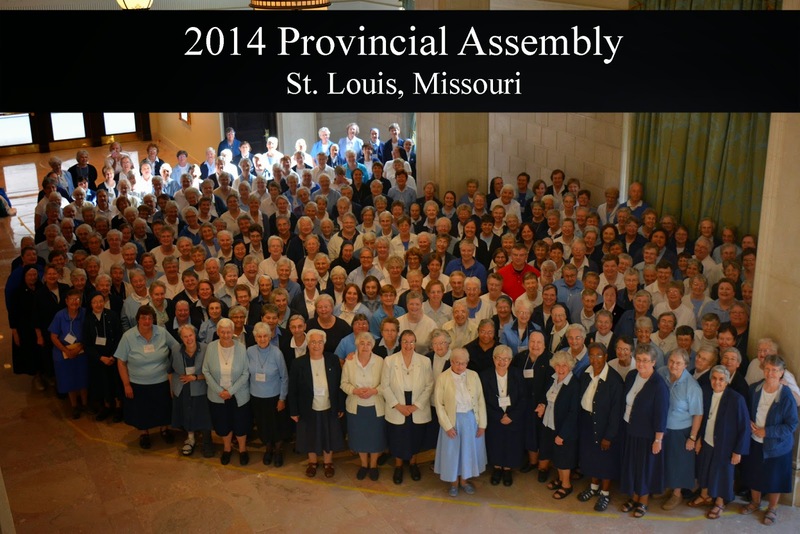 From June 22-28, I was in St. Louis , at our once every six year Provincial Assembly. Since four of our provinces merged into one in 2011, it was our first large meeting. We've had other gatherings, starting in 2007, but this was the big "canonical" meeting prior to our community's General Assembly in Paris in 2015. I won't be going to that one! I'm in that sea of blue, about five rows in from the front,left center. It was a grand meeting, but I came home with this bug. No one else got sick - glad of that. So I resolve to write more very soon, about all that has been going on in this last month. Seems that the rain is over, and a cool sweet breeze arrives at my window with a hummingbird.